Sleeveless blouse in crinkled viscose. 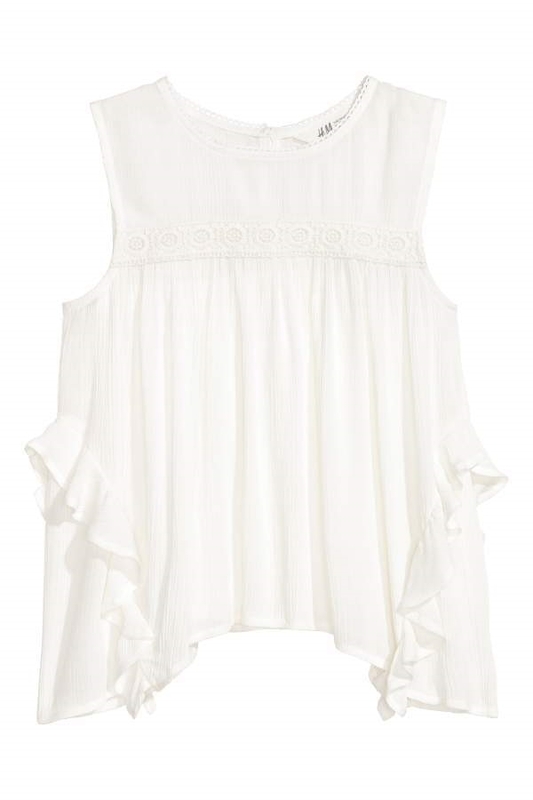 Ruffles at sides, opening at back of neck with button, and gathered, lace-trimmed seam at top. Asymmetric hem.